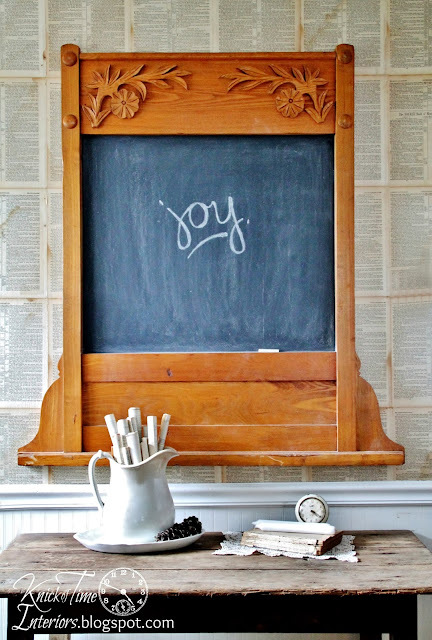 Repurposed Antique Mirror Frame into Chalkboard – Oh joy! If you follow me on Facebook, you may have read that I scored an antique mirror at a thrift store on Black Friday. The store wasn’t doing any special sales, but I just wanted to do a quick run through it and got there about 15 minutes before they closed. I saw this big framed mirror leaning up against the wall, but it didn’t have a price on it. When I asked for a price and they came back and told me, it was all I could do not to squeal out loud, because I was expected to hear triple the price they gave me. I tried to act relaxed and casual as I told them I would take it. I forgot to take a photo of it before my husband disconnected the two pieces, but originally the large frame had this mirror in the opening. They looked beautiful together, but I immediately envisioned turning the frame into a chalkboard, since the mirror looks just as pretty by itself. 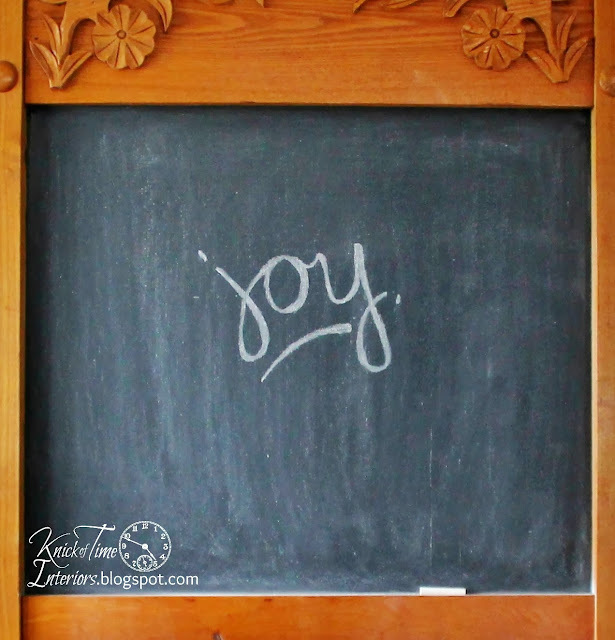 I also envisioned creating some beautiful Christmas chalkboard art on it, and even came up with a design, but my drawing skills are pitiful and I kept messing it up, so I gave up and just decided to keep it simple with the word, “joy”. Simple is good, right? The frame is lovely old oak, with beautiful details. I think it makes an incredible “statement” mirror. I don’t have anywhere to go with it in my home, but if it doesn’t sell, I’m going to make room for it somewhere, because I adore it. It’s available in my shop HERE. 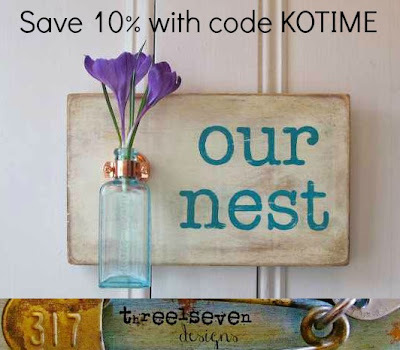 I’ve mentioned before how much I love Picmonkey, and this is why. This wall has our ugly thermostat, 2 light switches (one of which isn’t connected to a light, and 2 ugly brown outlets on it. With Picmonkey, I can magically make it all disappear! I wish I could use Picmonkey to clean my whole house. I know you’ve been seeing Christmas trees on every blog in blogland and all over Pinterest, but this year I decorated our tree very differently than it’s ever been decorated, and I hope to show it to you soon. It’s totally decorated in my style and I’m a little giddy about it. I’m going to attempt to photograph it tomorrow. Wish me luck, as taking pictures of a tree with lights is uncharted territory for me, so if you don’t see a blog post about my tree soon, you’ll know I couldn’t get a single decent photo and am too embarrassed to show you. I love your repurposed chalkboard and I love, love that it simply says joy! It’s actually very eye catching…sometimes one word says it all. 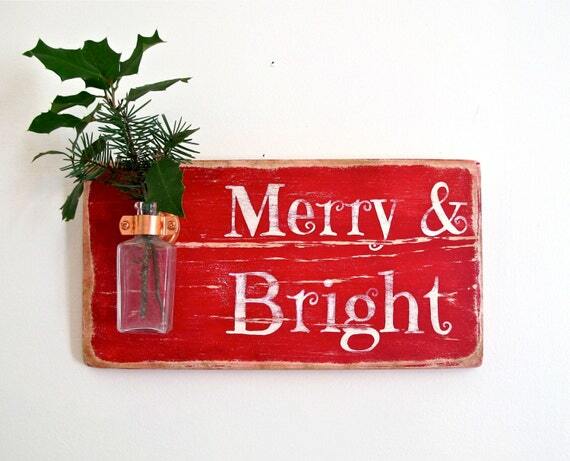 Can’t wait to see your tree. Bet it’s fantastic! 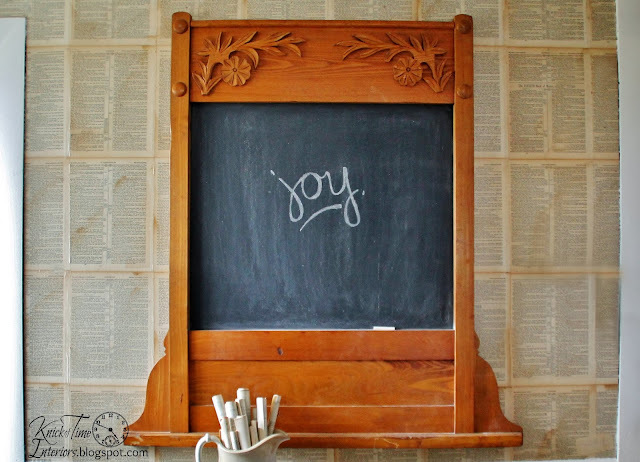 You find the neatest things Angie … love how you re-purposed the frame into a chalkboard. Blessings and happy Christmas season. 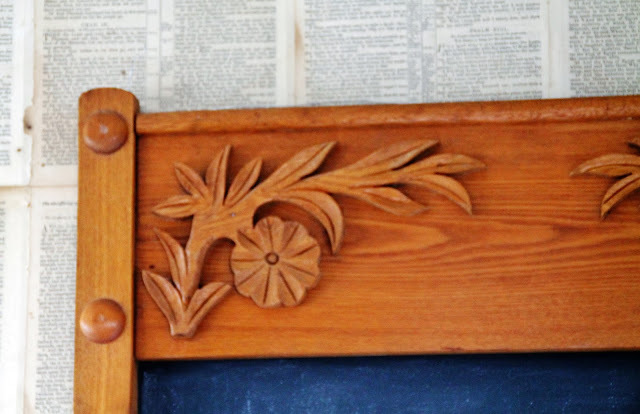 Oh that is one beautiful chalkboard…the ornamentation on the wood is wonderful! Picmonkey to the rescue again. 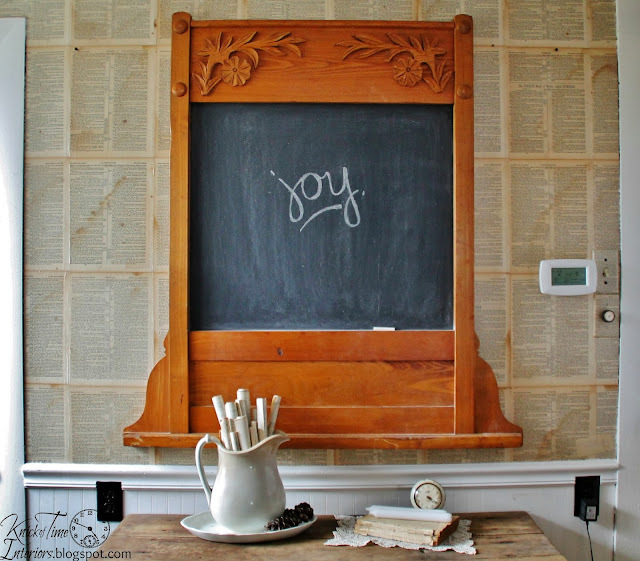 I love your chalkboard and the beautiful natural wood finish. Okay, now you make me want to start going back to the thrift store. I quit going because I could never find anything worth buying! Great look! Love it. So much better this way than just another mirror! I <3 chalkboards and your is fab!! Wonderful! I love the chalkboard and that mirror, well that makes me swoon! A two-fer! 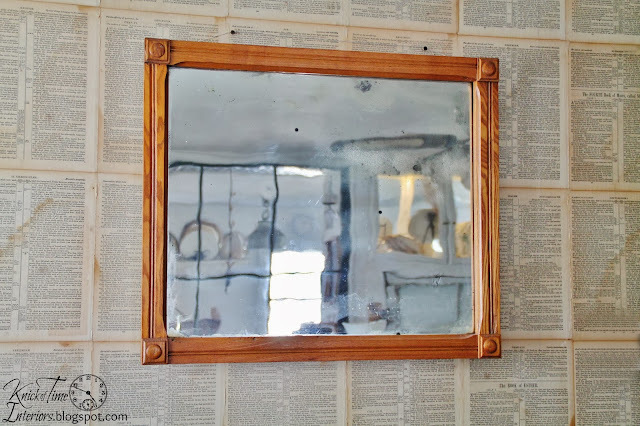 Great deal – the mirror is lovely by itself and I love the frame made into a chalkboard. JOY! I love that chalkboard, the frame is amazing!